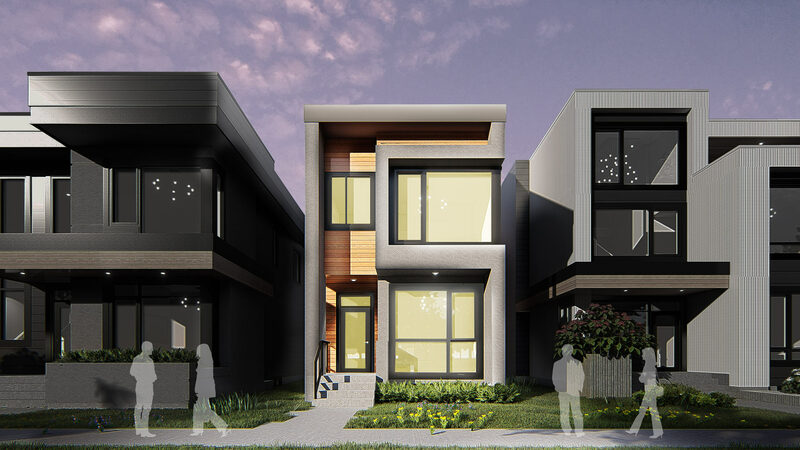 Infill homes offer the best of both worlds. Living in an older, established neighborhood with great access to downtown in a brand new home. 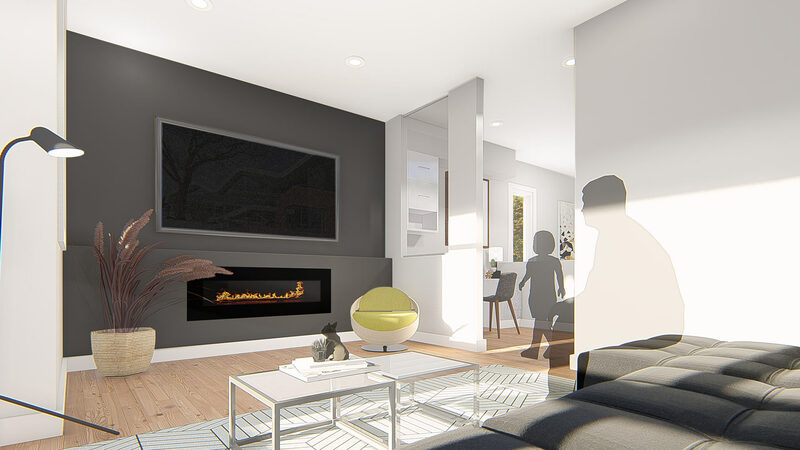 Our Infill homes reflect Kanvi's key design principles; amazing modern design, considered spaces, and second-to-none contemporary details. 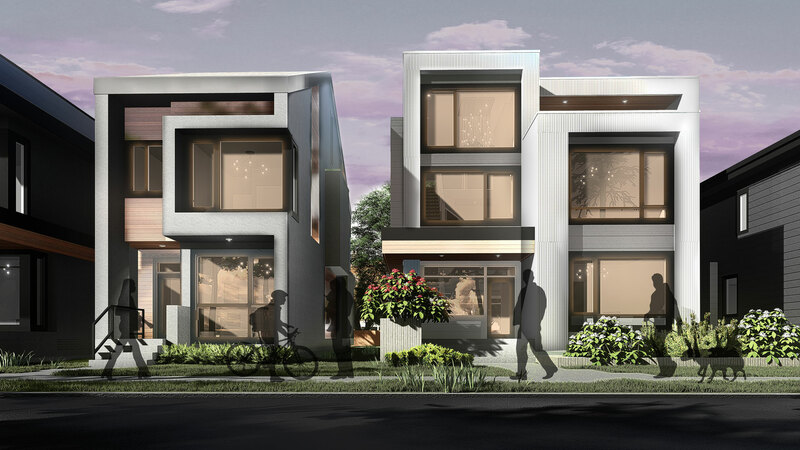 At Kanvi, we're known for our breathtaking modern design. Walking through any Kanvi home and you'll notice it feels different. Our infill line has deliberate designed floor plans for maximizing space usage, establishing sight-lines and clever structural engineering. 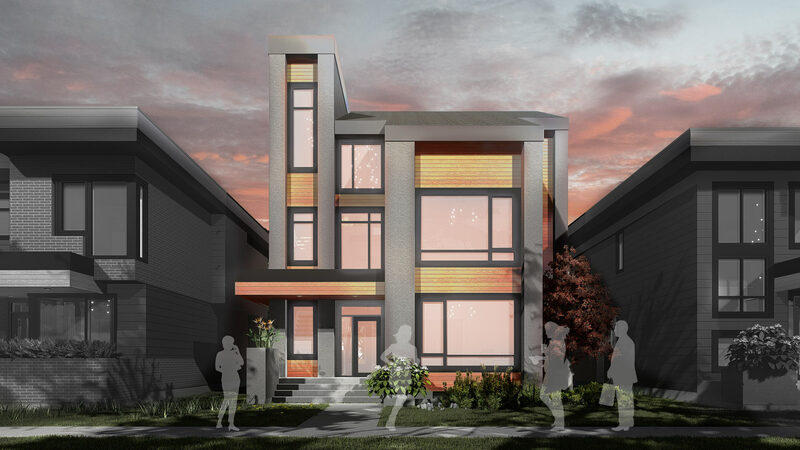 With an infill home, there's flexibility to do stunning architecture. Pulling materials typically used in commercial building and getting creative with exterior details is all part of our amazing infill models. 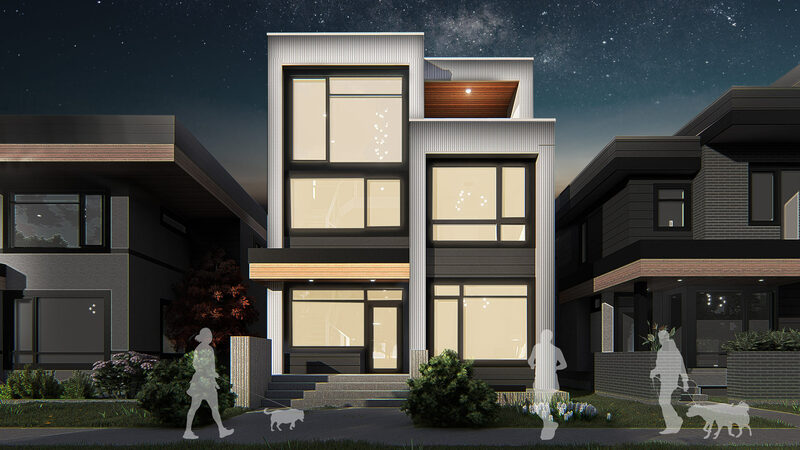 We've designed our models around the best sizes to build an infill in Edmonton. We three models that are 17' wide, 25' wide and 36' wide giving flexibility to mature lots in Edmonton. The Revive packs modern design features you'll love in an apologetically small package. 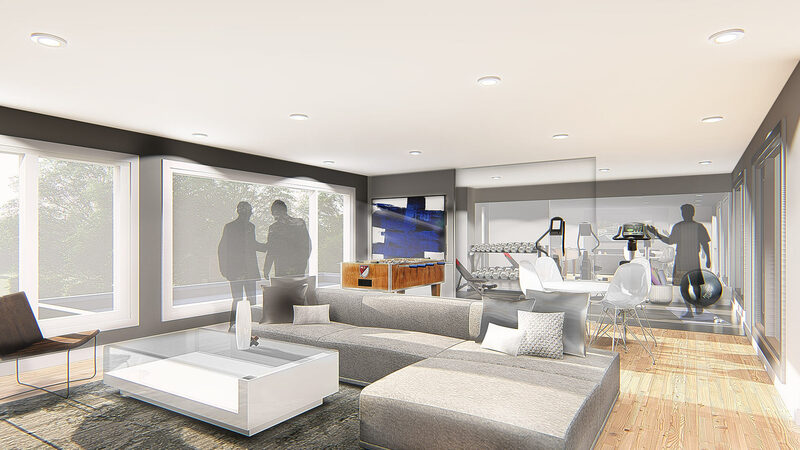 The Revive starts at 1522 sqft and with a optional loft goes up to 1853 sqft. An impressive Kanvi kitchen, over-sized windows and other Kanvi signature details are all part of the Revive. The Renew sits in the middle of our infill line and fits on a 33' wide lot. 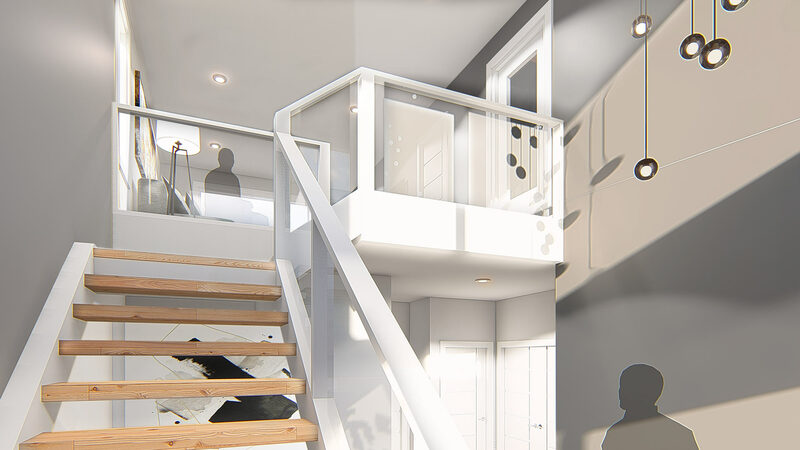 Starting at 2184 sqft and with a optional loft as a master retreat up to 2678 sqft. The open to above foyer brings in amazing light and grants you a view of mature trees. The Refresh overwhelms with details only available to those with discerning tastes. 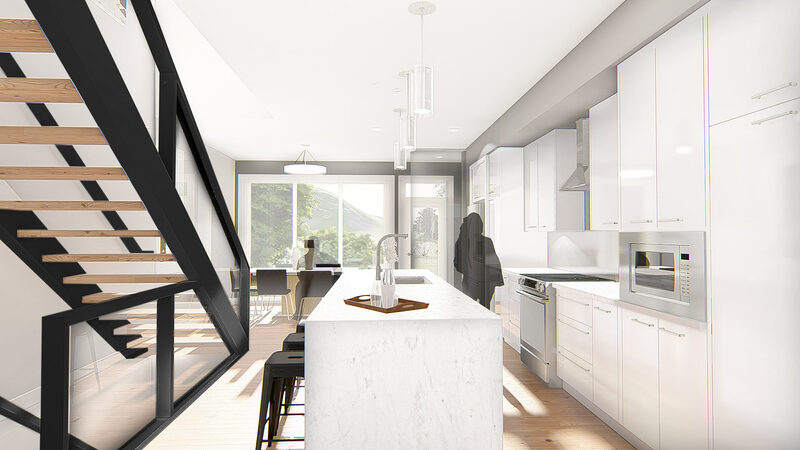 A kitchen island over 15' in length, massive windows, an expertly crafted mudroom and a master retreat are only parts of this marvelous plan.